The Jaguar XJ has already collected its first award of 2006, topping the Luxury Car category at the Fleet Excellence Awards, voted for by readers of Fleet Week and Fleet Management magazines. "The Jaguar XJ oozes feel-good factor, and the new 2.7 V6 especially makes good business sense," said Guy Bird, editor of Fleet Management magazine, commenting on the award. Since its introduction, the XJ's sophisticated styling and lightweight all-aluminium construction have proved a real success in the UK, consistently commanding around half of all petrol sector sales and almost a third of sales in the entire premium F-sector. 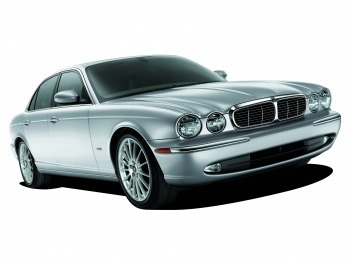 Now, with the new XJ 2.7 TDVi, Jaguar's luxury flagship adds an even stronger reason for customers to choose the Jaguar XJ. "How does a 35mpg combined fuel economy sound? Or a BIK figure that saves £50 a month over the equivalent BMW, or £59 over a diesel Mercedes S-Class. Beyond the diesel there’s the entry-level 3.0 V6, and 3.5 and 4.2 V8 petrols which are sure to have accounted for many of the votes from chairmen and MDs alike," Bird added. "The opinions garnered from the combined readership of Fleet Management and sister title Fleet Week, 32,000 in total, amply cover the whole UK fleet industry. These decision makers are collectively responsible for the purchase of a million-plus vehicles every year, well over half of all new cars sold in Britain. In short, their views matter." Robert Aitken, Corporate Operations Manager, Jaguar UK, welcomed the award: "Jaguar is delighted that the XJ has been voted best luxury car by readers of Fleet Week and Fleet Management. With its revolutionary lightweight aluminium construction, XJ’s 3.0, 3.5 and 4.2 litre petrol derivatives have been delivering class leading performance and handling characteristics ever since the launch of the new XJ. "The introduction of the XJ TDVi Diesel derivative last year means that Jaguar is now able to compete head on with other luxury brands in this extremely competitive sector. With its lowest BIK tax rates, coupled with best-in-class levels of noise reduction and refinement, the XJ TDVi is a deserving winner and we look forward to its first full year in the market place." The XJ also contributed to Jaguar ending the year on a high with its best ever December, driven mainly by strong demand for its new diesels in XJ and X-TYPE.